A whole new celebrity cast is putting on their dancing shoes and preparing to take the ballroom by storm on Season 14 of ABC's "Dancing With the Stars." 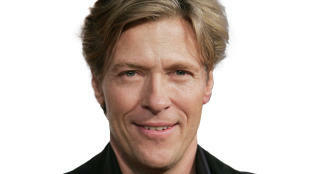 Actor Jack Wagner of "Melrose Place" fame, TV star Melissa Gilbert, who became a household name as Laura Ingalls on "Little House on the Prairie," "The View" co-host Sherri Shepherd, and Jaleel White, best known as Steve Urkel from "Family Matters," are among this season's headliners. Tennis legend Martina Navratilova, TV host Maria Menounos, Motown great Gladys Knight, opera singer Katherine Jenkins, Disney star Roshon Fegan, NFL champ Donald Driver, singer Gavin DeGraw and Telenovela actor William Levy round out the celebrity line-up. The new cast and their professional partners make their official debut today on "Good Morning America." Hosts Tom Bergeron and Brooke Burke Charvet joined "GMA" co-anchor Robin Roberts at the El Capitan Theater in Los Angeles for the live announcement. PHOTOS: Meet the Season 14 Cast and Pro Partners! The stars also met their professional partners, who they will begin training with right away ahead of the March 19 two-hour season premiere. Defending pro-champion Karina Smirnoff, who won her first mirror ball trophy last season with celeb J.R. Martinez, is partnered up this time with singer Gavin DeGraw. Pro Cheryl Burke, who sambaed with Rob Kardashian into the finals during season 13, will team up with William Levy this round, and three-time champ Derek Hough will dance with Maria Menounos. Fan favorite pro dancer Maksim Chmerkovskiy will teach Melissa Gilbert the ropes and his brother, “DWTS” newcomer Val Chmerkovskiy, is matched up with Sherri Shepherd. Nancy Grace’s former partner, Tristan McManus, returns this season to dance with Gladys Knight. Two-time champ Mark Ballas will tango with Katherine Jenkins. Read more about the cast in their edited bios and tell us who's your favorite. Which celebrity are you most excited to see hit the dance floor? Which pro pairing is your favorite? Vote now! The new season of “Dancing With the Stars” premieres in a live two-hour event on Monday, March 19 at 8/7c on ABC. Star of "General Hospital" and "Melrose Place"
Bio: An actor of daytime and primetime television and the stage, Wagner is one of the most popular stars in the history of soaps. Wagner studied theater in college, graduating from The University of Arizona with a BFA in Drama. Wagner has starred in multiple television series, over a dozen of television movies, and has appeared in over forty theatrical productions around the world. In 1983, Wagner landed the starring role of rocker Frisco Jones on ABC's daytime series, "General Hospital" in 1983. He recorded several songs for the show, eventually signing with Quincy Jones's record label, Qwest, where Wagner recorded his first hit single, "All I Need." The single was #2 on Pop charts and #1 on Adult Contemporary charts. In 1987 Wagner returned to his theatrical roots touring nationally as Tony in "West Side Story," and as Danny Zucko in "Grease." In the early 90's, Wagner joined the hit series "Melrose Place," where he spent the next 5 seasons both acting and directing. In 2000 he took the role of a lifetime in the Broadway musical "Jekyll and Hyde." Most recently, Wagner joined the company of "The Bold and the Beautiful." In his spare time, Wagner enjoys playing golf and participating in celebrity golf tournaments. He is the National Celebrity Ambassador of the "Leukemia and Lymphoma Society," which benefits from "The Jack Wagner Celebrity Golf Classic," his annual golf tournament. Star of "Little House on the Prairie"
Bio: A native of Los Angeles, Gilbert comes from a long line of entertainers including her grandfather, Harry Crane, creator and writer of "The Honeymooners" and her father, comedian, actor, musician and dancer, Paul Gilbert. At age two, Gilbert made her on-air debut modeling baby clothes and appeared in more than thirty television commercials over the next seven years. At age nine, she joined the cast of "Little House on the Prairie," continuing with the popular series for ten years. She has since starred in hundreds of television movies, specials and series including the Emmy award-winning MOW "The Miracle Worker." In 2009, Melissa shared her personal story in her bestselling memoir, "Prairie Tale." Gilbert served two terms as the 23rd President of Screen Actors Guild, two terms as Vice President on the AFL-CIO executive council, as Vice President for the California Labor Federation, as a commissioner on the California Film Commission and as chair of the 2005 SAG Theatrical/Television Negotiating Committee. An avid philanthropist, Melissa is the President of the Board of Directors for the Children's Hospice and palliative Care Coalition, and recently became the first-ever national spokesperson for The Partnership at Drugfree.org. Melissa is a devoted mother to four sons. Bio: Driver overcame a childhood of homelessness to become a Super Bowl champion and the all-time leading receiver in Green Bay Packers history. After being selected in the last round of the NFL draft, he went on to hold the Packers' all-time receiving records for yards and receptions as well as a host of others. Having grown up homeless and living out of a U-Haul truck for a period of time, Donald faced obstacles growing up that most could not imagine. From it, he was inspired to be a community-minded athlete. 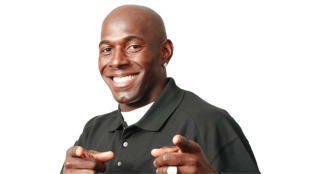 Along with his wife Betina, Driver created the Donald Driver Foundation in 2001, which focuses on homelessness, education and health and wellness initiatives. He has donated his time for hundreds of community appearances. Donald is most proud of his family, wife Betina and kids Cristian, Christina and Charity. Donald's kids, and his commitment to education, drove him to write three children's books revolving around the lovable character "Quickie." The books' illustrations and stories are based on Donald's family. 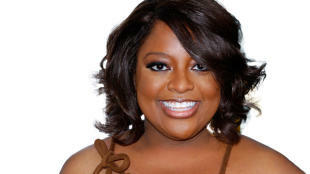 Bio: Shepherd is an actress, comedienne and co-host of ABC's hugely popular daytime talk show "The View." Whether she's on stage or screen, this Daytime Emmy® Award winner's magnetic personality and hilarious sense of humor never fails to delight audiences. She has appeared in such popular television shows as "30 Rock," "Less than Perfect" and "Everybody Loves Raymond," and in films including "Precious," "Madagascar: Escape 2 Africa" and most recently "One for the Money". She is the author of a humorous autobiography Permission Slips: Every Woman's Guide to Giving Yourself a Break (Grand Central Publishing). Current No. 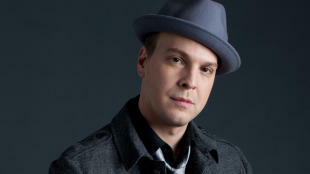 1 platinum single, "Not Over You"
Bio: Gavin DeGraw broke out as a chart-topping artist with his 2003 debut album, "Chariot," which sold over a million copies, and yielded three hit singles: "I Don't Want To Be," "Follow Through," and the title-track, "Chariot." DeGraw's self-titled second album debuted at No. 1 on the digital sales chart and at No. 7 on Billboard's Top 200 album chart in 2008, earning DeGraw his first Top 10 album. It spawned the hit singles "In Love With A Girl," which Billboard dubbed "a rocking homerun," and the gold-certified "We Belong Together." In 2009, DeGraw released "Free, "an album featuring recorded versions of DeGraw's live favorites. He released his third studio album, Sweeter in September of 2011 and the album's first single, "Not Over You," co-written with OneRepublic's Ryan Tedder, was just certified platinum. 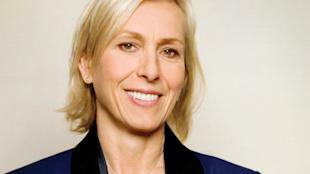 Bio: A champion both on and off the court, Martina Navratilova is an influential athlete and cultural figure. Born in Prague in 1956, Navratilova is the only player in history of tennis to win Grand Slam titles in four different decades, including a curtain-closing US Open victory in mixed doubles at age 49. Navratilova's resume includes 59 Grand Slam titles, a record nine Wimbledon singles championships, and an unrivaled 344 tournament victories. Off the court, Navratilova has been a lifelong champion for individual freedom and a pioneer for human rights. At 18, Navratilova left communist Czechoslovakia and sought political asylum and freedom in the U.S. After receiving her U.S. citizenship in 1981, she publicly acknowledged that she is gay at a time when such announcements came at great personal cost to public figures. In 2010, Navratilova was diagnosed with breast cancer. She approached the illness like her tennis training, and has become cancer -free and a champion for breast cancer awareness. She is currently the Fitness Ambassador for AARP, inspiring its 39 million members to follow her example by redefining what it means to be over fifty. She is an author, speaker and an on-air commentator for the Tennis Channel. Actor in hit Disney Channel show "Shake It Up"
Bio: Most widely recognized for his roles on Disney Channel, this musical artist, songwriter, producer and actor currently stars on the Disney Channel original series "Shake It Up!" as Ty Blue. Prior to this role, he appeared as Sander Loyer in the Disney Channel original movies "Camp Rock" and "Camp Rock 2: The Final Jam." Fegan also performed songs on the "Camp Rock" soundtrack as well as the DVD bonus track "Camp Rock." 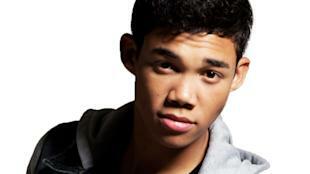 20 year-old Fegan recently released his first self-produced EP "I Am RoShon." Bio: Actress, author and the host of "EXTRA," Maria Menounos' story began cleaning Boston nightclubs alongside her Greek immigrant parents from age of three and not learning to speak English until she was 10 years old. At 22, she became the youngest person to host "Entertainment Tonight" and would later report for "Today", "Dateline" and "Nightly News." She has traveled to such places as El Salvador, South Africa and Afghanistan while reporting on earthquakes, the AIDS epidemic and the war. Inspired by her world travels and the devastating effects of the AIDS crisis, she created the charity, "Take Action Hollywood!." In 2008, she conducted the only interview with the Obama family during the Presidential Campaign. Maria is the New York Times bestselling author of the self help book, The EveryGirl's Guide to Life. She recently launched AfterBuzzTV.com, an online digital network dedicated to producing wrap up shows for America's favorite television series. She loves people, life and trying new things! Steve Urkel in "Family Matters"
Bio: Jaleel White has brought laughter to millions of people around the world as a multi-talented actor who has also become an emerging screenwriter. 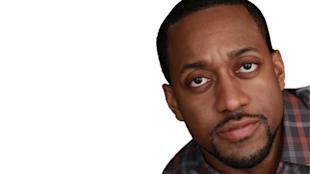 White is best known for his portrayal of Steve Urkel/Stefan Urquelle on ABC's long-running series, "Family Matters." The series is one of 22 shows in television history to reach 200 episodes. While attending UCLA's School of Film and Television, White occupied a dual role as star and producer of the UPN series, "Grown-Ups." Upon graduating from UCLA, he worked as a WGA writer for such notable companies as Imagine Entertainment and Disney Channel Television. He has also resumed acting, playing guest starring roles in "Boston Legal," "House," "NCIS"and Dreamworks'"Dreamgirls. "Last year, he played a role in the feature film, "Judy Moody and the Not So Bummer Summer,"voiced the role of Sonic the Hedgehog and wrote, produced and starred in his own webseries "Fake It 'Til You Make It." White currently plays recurring roles on USA Network's cable smash, "Psych" and the Nickelodeon series, "Problem Solverz. "Coming up, he will host the new SyFy game show "Total Blackout" and will begin production on a film which he co-wrote, "Parkin'Lot Pimpin." Knight is in the Rock 'N' Roll Hall of Fame with the Pip. She recorded her first album with the Pips at age 16. Bio: Eight-time Grammy winner Gladys Knight has enjoyed #1 hits in pop, R&B and Adult Contemporary, and has triumphed in film, television and live performance. Georgia-born, Knight began performing recitals at age four in the Mount Mariah Baptist Church. Three years later, in 1952, she won the grand prize on television's "Ted Mack's Amateur Hour," and the following year, she, along with her brother Bubba, and her cousins formed The Pips and had their first hit in 1961. 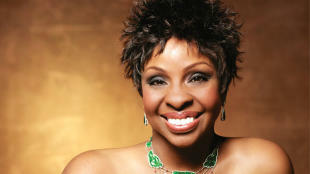 In 1962, the group was renamed Gladys Knight & The Pips. With Knight singing lead and The Pips providing lush harmonies and graceful choreography, the group went on to achieve icon status, having recorded some of the most memorable songs of the 1960s, 1970s and 1980s. Top 20 hits, like "Every Beat of My Heart," "I Heard it Through the Grapevine" and "If I Were Your Woman," set the stage for an amazing run in the mid-1970s, with Top 10 gold-certified singles like "Neither One of Us (Wants to be the First to Say Goodbye)," "I've Got to Use My Imagination," "Best Thing to Ever Happen to Me" and the #1 smash "Midnight Train to Georgia" established Gladys Knight and The Pips as the premiere pop/R&B vocal ensemble in the world. All told, Knight has recorded more than 38 albums over the years, including four solo albums during the past decade. This Spring Knight will release her newest album featuring the hit "I Who Have Nothing." Most recently, she appeared in the Tyler Perry film "I Can Do Bad All By Myself." Knight – a longtime Las Vegas resident – returned to the Strip this past year at the famed Tropicana Hotel for a Special Engagement that ran in the newly named Gladys Knight Theater, making her the first African-American performer to have a venue named after her in Las Vegas. Stars in Jennifer Lopez video "I'm Into You"
Known as "'the Brad Pitt of Mexico"
Bio: Levy was born in Cuba and very early on knew he would go after his dreams, even if it meant leaving his beloved country and risking his life. By age 15, Levy was living in Miami, Florida, where he attended high school and learned to speak English. Levy's incursion in acting was a supporting role on Telemundo's "Los Teens," a series about Hispanic teenagers growing up in the United States. Prior to "Los Teens," Levy had appeared in two reality shows, also for Telemundo, and a music video. His modeling career also took off at this point and he was signed to one of the most prestigious national modeling agencies. His big break came in 2007 when Levy was personally chosen by famed Televisa producer Carla Estrada to play the role of Vasco Darien in "Pasion," an epic novella production set in Mexico's colonial period. Levy gained instant recognition and his acting career skyrocketed as a consequence of the novella's popularity. After "Pasion," he traveled to Ecuador and participated in the film, "Retazos de Vida." Shortly after, Levy returned to Mexico for his first leading role in "Cuidado con el Angel," a soap opera production that consolidated him as one of Mexico's most sought after leading actors. He starred as Alejandro Lombardo on Univision's "Sortilegio," Mexico's highest rated primetime Production, and now stars in "Triunfo del Amor," (Univision) the number one rated telenovela on TV. Levy enjoys playing all kinds of sports, but he considers himself an avid baseball fan. He currently resides between Los Angeles, Mexico City and Miami, FL. Sang on Season 12 of "Dancing With the Stars"
Bio: Katherine Jenkins is the world's most prolific classical crossover artist. The Welsh Mezzo Soprano has sold in excess of seven million albums since launching her career in 2004. An internationally recognized figure, Katherine at the age of only 31, has become an ambassador and inspiration for millions of people around the world. When she was still only 23, Katherine signed what was said to be the biggest ever UK classical recording deal; she has broken records becoming the fastest selling mezzo soprano ever, has released eight studio albums, has won two Classical BRIT awards and broken countless records with her albums going platinum around the world. She has performed with Placido Domingo and Andrea Bocelli, had lunch and performed for the Queen and other members of The Royal Family as well as Prime Ministers and dignitaries around the world. Having recently worked with internationally renowned producers including David Foster and John Shanks, Katherine's unique and timeless vocals have defined the genre. Known for her interpretations of popular songs, operatic arias and hymns, Katherine is also known for her long-standing work with the British Forces Foundation for which she is a trustee and has consequently made various trips to Iraq and Afghanistan to entertain the troops. This support for the troops has led her to being referred to as the Forces Sweetheart. Cherished as one of Britain's favorite singers, Katherine has now become one of our greatest musical exports.